Move around with your mobile devices and keep them connected by giving your existing WiFi a boost. 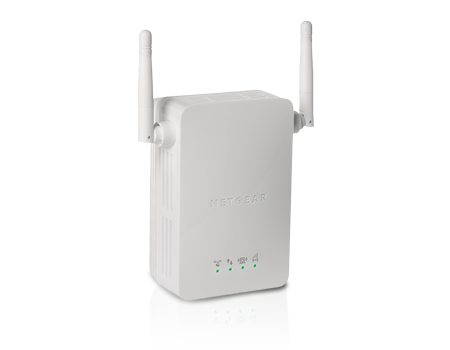 Gain double the distance with NETGEAR. Move around with your mobile devices and keep them connected by giving your existing WiFi a boost. This small, easy-to-install wall-plug WiFi range extender also creates new WiFi connectivity for one wired device like a Smart TV, Blu-ray™ player, or game console. Plug it into an electrical outlet and give your WiFi a boost. External antennas give you the extra boost to put your over the top.